Once upon a time, you’d be considered financially savvy if you could make change and read the numbers on your bank statement. Today, financial literacy is about far more than handling cash and keeping track of the money in your bank account. With the recent proliferation of credit products, investment vehicles, financial institutions and increasingly complex means of calculating interest, you’d be forgiven for feeling as if you need a graduate degree just to manage your money. Like reading comprehension, financial literacy is a gradient: Some folks are barely literate while others could tell you the difference between bump-up and brokered CDs in an instant. The only way to improve your personal grasp of financial concepts is through research and practice. While finance is a highly-specialized field and many of its professionals specialize in just one or two areas within it, laypeople can and should become well-informed financial generalists. If you’re serious about improving your financial knowledge, there are few easy steps that you can take to make some quick inroads. While it’s nice to have a working knowledge of corporate finance and professional investment concepts, your immediate concern should always be your own personal finances. To that end, start by solidifying your understanding of key financial concepts, like the difference between checking and savings accounts and the basic mechanisms of credit cards. You’ll also want to understand concepts like interest, insurance and savings and investment vehicles: You may not think about these things on a daily basis, but the decisions you make about them have the potential to affect your financial future for better or worse. You don’t have to corner your financial-planner uncle at your next family gathering to gain a working understanding of basic money matters. 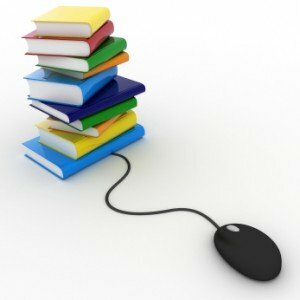 Plenty of free online resources, like Investopedia.com and Mint.com, exist to confer such knowledge. Recent financial legislation has tightened up disclosure requirements for most financial institutions, bringing to light a wealth of information and advice that previously had been under wraps. Although it may be hard to understand, and the source certainly isn’t unbiased, the “fine print” that you find on your account statements and in the bowels of your bank’s website can actually contain illuminating explanations of things like compound interest, penalties and fees, and your legal options in the event of an error or dispute. If you come across an unfamiliar term or concept, simply refer back to one of the aforementioned online financial literacy resources, which should be bookmarked in your browser anyhow. Before you open an account with a new bank or do any further business with your current institution, carefully read over this “fine print” information and take the time to compare it to similar disclaimers from other institutions. Over time, you’ll get a better sense of which financiers offer the best terms on their loan and deposit accounts. This is especially important before you take on a major long-term credit burden, like a new mortgage or business loan, where even a small interest-rate difference can add up to thousands or even tens of thousands of dollars in extra debt over the years. Of course, financial institutions with a vested interest in keeping as much of your money as they can shouldn’t have the last word in your quest for financial literacy. The non-profit sector has a slew of resources designed to improve lay understanding of money issues, the most prominent of these being a public-private partnership known as the Financial Literacy and Education Commission. Established in 2003 as part of the Fair and Accurate Credit Transactions Act, the Commission consists of nearly two dozen federal agencies and enlists the help of numerous private companies, community colleges and local school districts to promote financial education at multiple points of contact. If you’re looking to improve your financial IQ without getting into the weeds of fine print, the Commission’s public portal at MyMoney.gov has a raft of unbiased, easy-to-understand information as well as free financial-planning tools that many for-profit institutions might charge you to use. Meanwhile, the National Credit Union Association, a component organization of the FLEC, offers information tailored to current and potential credit-union account holders at NCUA.gov. If you’re looking for an even more in-depth overview of personal money matters, the self-help section at your local library positively brims with books on financial literacy. Once you’ve mastered the basics of personal finance, you may want to graduate here to learn more about specific sub-fields or find procedural texts on retirement planning, investment-related tax issues, and obtaining and managing credit facilities like loans and business lines of credit. Then again, it may be worth it to invest in a small financial library of your own. Money management is the bread and butter of the popular “For Dummies” series of self-help books, and the brand offers all manner of finance-related texts for sale at Dummies.com. With surprisingly specific titles like Personal Finance In Your 20s For Dummies and Asset Allocation For Dummies, chances are good that you’ll find a book on the your specific query there. There are plenty of reasons for you to strive to be a competent manager of your own money, and many of them are bound to be personal. First and foremost, financial literacy is a matter of security. As the world itself has grown more complex and interconnected, the mavens of finance have devised new ways to stay ahead of the curve, often with disastrous consequences. Recent history offers a clear example: The use of ill-advised mortgage loans to back esoteric, poorly-understood financial products known as credit-default swaps precipitated the devastating financial crisis of 2008, the shock waves from which continue to echo today. Unfortunately, thousands of folks with a poor or nonexistent grasp of money matters experience their own personal financial crises every day. In a lending landscape that resembles an active minefield, financial knowledge is your equivalent of a bomb suit. These days, the line between legitimate credit products and outright scams can be ill-defined or absent. Even with interest rates at historic lows, many mortgages use sleight-of-hand to dramatically increase their cost in the out years. For instance, balloon mortgages demand an enormous lump-sum payment upon maturity in addition to the interest they’ve accrued over their term and often can’t be refinanced, while adjustable-rate mortgages’ initially-low interest charges invariably increase as time goes on. Whether these confusing home loans can be considered deceptive is a matter of interpretation, but they’re certainly sneaky. Payday loans, on the other hand, can be downright destructive, with annualized interest rates of 300 percent or more. Armed with your new-found financial knowledge, you’ll see right through these scams and avoid the mistakes of those who came before you. The best way both to avoid the temptation or need to take out risky loans is to put the store of financial knowledge that you’ve accumulated to use and improve your credit score. Bringing your credit back from the dead takes time, but the payoff can be immense as you’ll save money on everything from car insurance to credit cards. Set about improving your financial literacy today and look forward to a future filled with smart decisions and easier money.